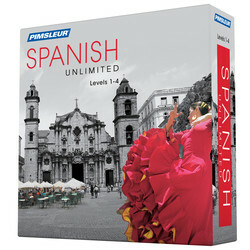 Spanish Levels 1-4 (120, 30-min. daily lessons) Software + mobile app with interactive tools: Audio lessons teach speaking, understanding, and reading. 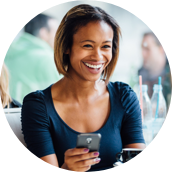 Review tools include digital flash cards and Quick Match quiz, and Speak Easy conversation practice. This program includes all of Levels 1, 2, 3, and 4. Every lesson contains an introductory conversation and isolated vocabulary and structures, as well as full practice for all vocabulary introduced. Emphasis is on pronunciation and comprehension. By the end of the program, you’ll have gained experience participating in many informal and some formal discussions on practical, social, and semiprofessional topics. You’ll learn to speak about your professional and personal life, needs, likes and dislikes, and to create complex sentences discussing the past, present, future, conditional, and subjunctive. You’ll skillfully form longer, more complex sentences, and most importantly, you’ll find yourself being understood, even by native speakers. Reading Lessons are included for each level. In Level 1, you'll learn to sound out words then phrases and sentences. In Levels 2 through 4, you'll continue to practice reading, improve your pronunciation, and learn new vocabulary. Before you know it, you’ll be reading with the ease and flexibility of a native speaker.